Coventry Glassworks and Gallery Presents: Phil Sealy: "A Baker's Dozen"
Posted on Oct 30, 2012 by Appleton Downtown Inc.
An exhibit of 13 new Pleine Aire paintings by Phil Sealy will open November 2 at Coventry Glassworks and Gallery, 6-9 pm. 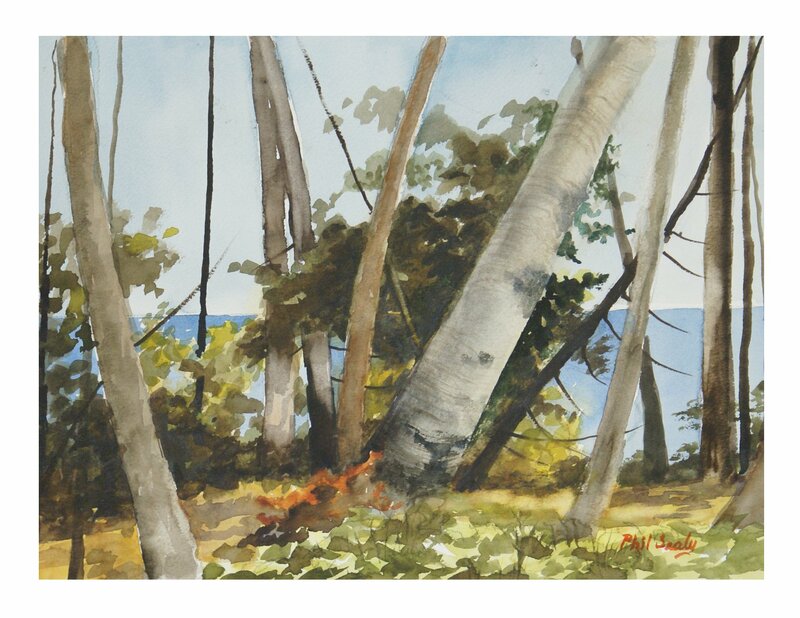 The 86-year-old Sealy created these new paintings over a two week period in August 2012 near Ellison Bay, Door County. Energized by the immediacy of painting on site, Sealy has always sketched, summer & winter, while outside. Here, the finished paintings were completed while in the scene. Public invited.